Palestinian Authority head makes his strongest remarks yet on the Nazi genocide, for Holocaust Day. The mass murder of Jews in the Holocaust was "the most heinous crime" against humanity in the modern era, Palestinian Authority chairman Mahmoud Abbas said Sunday in his strongest remarks yet on the Nazi genocide. The statement comes at a sensitive time for US-led peace efforts, with Israel having suspended faltering talks last week after Abbas reached an agreement with the genocidal Islamist Hamas movement to form a unity government. 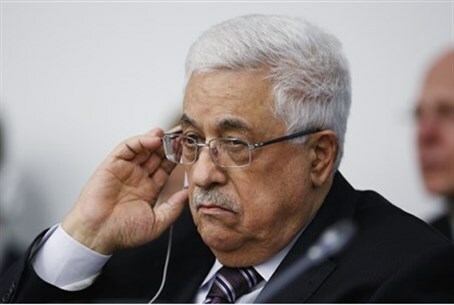 In a statement in English and Arabic released just hours before Israel began marking Holocaust remembrance day, Abbas expressed sympathy with families of the six million Jews who were killed by the Nazi regime. "What happened to the Jews in the Holocaust is the most heinous crime to have occurred against humanity in the modern era," Abbas said. He also expressed his "sympathy with the families of the victims and many other innocent people who were killed by the Nazis". His remarks, made in response to a question during talks last week with an American rabbi promoting Jewish-Muslim understanding, came as Israel and the Palestinians traded blame over the collapse of the peace talks. Although the Palestinian leader has condemned the Holocaust in the past, his attitude has come in for heavy scrutiny since the early 1980s, when in his doctoral thesis he questioned the total number of Jews killed. Veteran Nazi hunter Ephraim Zuroff, Jerusalem director of the Simon Wiesenthal Center, said he was not aware of such a strong stand from Abbas in the past. "To the best of my memory he hasn't said this before," he told AFP, but added that it could be more a tactical shift than a change of heart. In remarks delivered at the start of Sunday's weekly cabinet meeting, Israeli Prime Minister Binyamin Netanyahu slammed Abbas over the unity deal with Hamas, whose officials have either denied the Nazi genocide outright or cast doubt on its scope. "Hamas denies the Holocaust while attempting to carry out a second Holocaust by destroying the state of Israel," Netanyahu told reporters. "It is with this Hamas that (Abbas) chose to make an alliance last week." The dissertation was published as a book in 1984 and is widely taught throughout the PA. It downgrades the number of Holocaust victims to “[possibly] below one million,” and accuses Zionist leaders of encouraging the persecution of Jews. In 2011, he reportedly said that he now accepts the figure of six million Jewish victims.